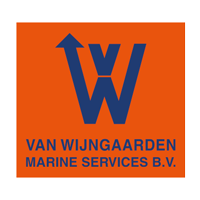 Sponsor: Van Wijngaarden Marine Services B.V.
Van Wijngaarden Marine Services is an independent company, providing maritime services and operates a large and modern fleet of workboats, for deep sea, coastal and inland waters. The vessels and her crew of Van Wijngaarden Marine Services are active all around the world, mainly on projects in the industries of Transport, Maritime Services, Dredging & Marine Construction and Offshore Energy. Van Wijngaarden Marine Services maintains a policy of long term strategy. We do this by focusing on long term good relationship with our customers, continuous investment in our people (training) and vessels (construction), and a permanent optimizing of our business. Safety and quality are an essential and integrated part of our actions and work procedures All this can only be achieved through a motivated and qualified team of employees, both on board of our fleet and ashore. We value our people, therefore, in particular, they are our true capital and equipment for the success of our company.